The Chapel, built for non-denominational worship in 1941, served the spiritual needs of Italian prisoners of war held on the island. It was later used by visitors to summer cottages on the island. One of 500 similar military kit chapels built before and during World War II, the chapel was used for Catholic, Protestant and Jewish services for members of the military and their families when Fort Andrew was an active military base. The chapel – built with a choir loft and government issued pipe organ – was abandoned when the fort was decommissioned in the 1950s. For the most part, it fell into dis-repair in the 1960s. 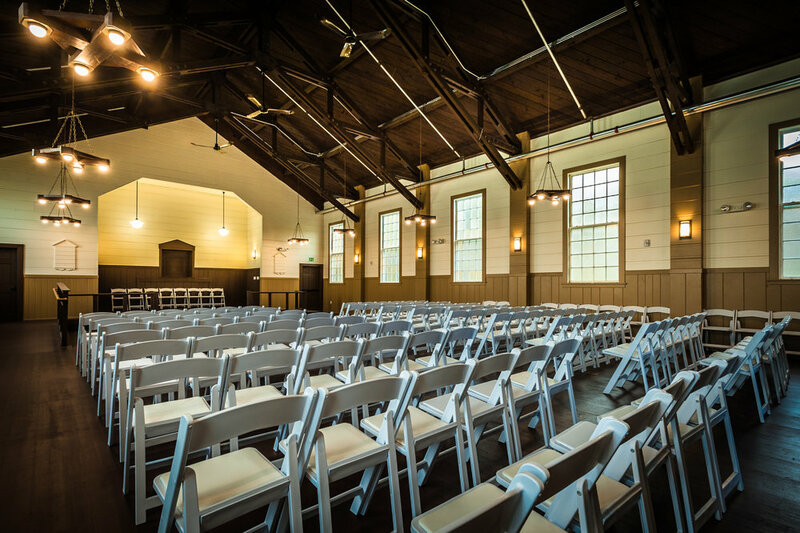 Between 2012 and 2014 the chapel was fully renovated by the Massachusetts Department of Conservation and Recreation and the Boston Harbor Alliance with support from the New England Union Carpenter’s Training Program and the Amelia Peabody Charitable Foundation. The restoration included significant structural work, pew removal, lighting and sound system work, painting and landscaping. Windows, doors and hanging lights were installed from an identical chapel at the Naval Air Station in South Weymouth, MA that was being demolished. In 2014, Dr. Cathy Stanton gave a talk to the Hull Lecture Series about the history of Peddocks Island and its cottage community.